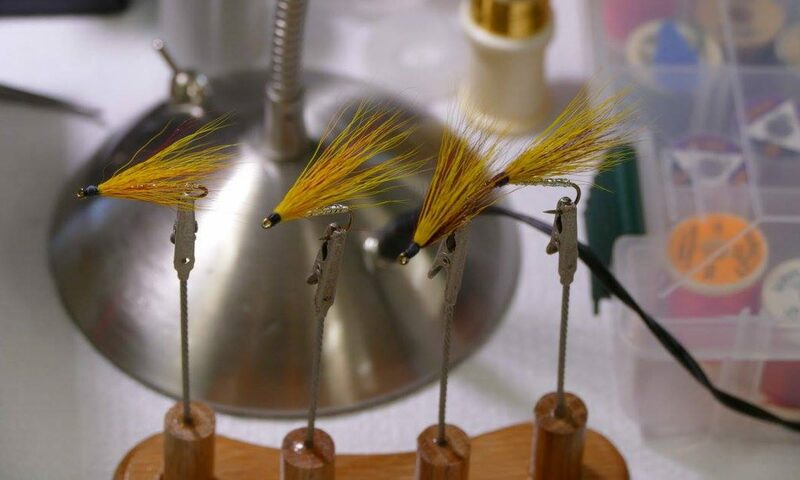 The Red River Fly Fishers will be hosting their annual Red River Rendezvous fly tying Extravaganza on January 25 & 26, 2019 at Eisenhower State Park on Lake Texoma. The fly tying is held in the Recreation hall inside the State park. It is a nice facility with a full kitchen, heat, and restrooms. The state park has nice campsites including some full hookups for RV’s. There are also several hotels in Sherman & Denison if you want to make a weekend of it. We will have a pot luck lunch on Saturday so bring your favorite dish to share. There has always been a lot of great food and a bunch of it! There is no charge to attend the Red River Rendezvous; however, you will have to pay the gate charge to enter the park if you are not an annual pass holder. The event will run from 1:00 PM on Friday the 25th until 4:00 PM on Saturday the 26th. Doors will open at 7:00 AM on Saturday with a deli style make your own sandwich station for lunch.